These days, it can seem almost impossible for a young person to start an agribusiness, given the high cost of purchasing farmland. 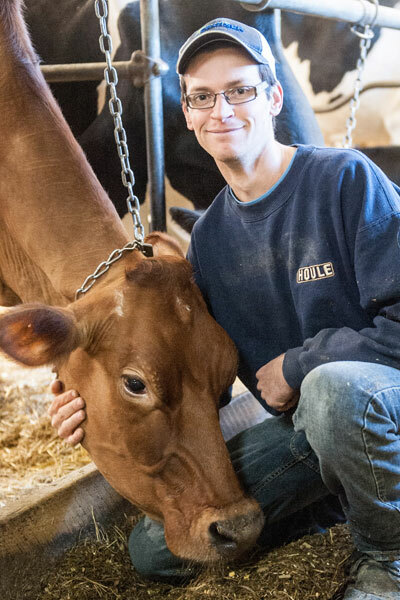 Malurin farm in Saint-Célestin has found a way to help one young person get around this issue. 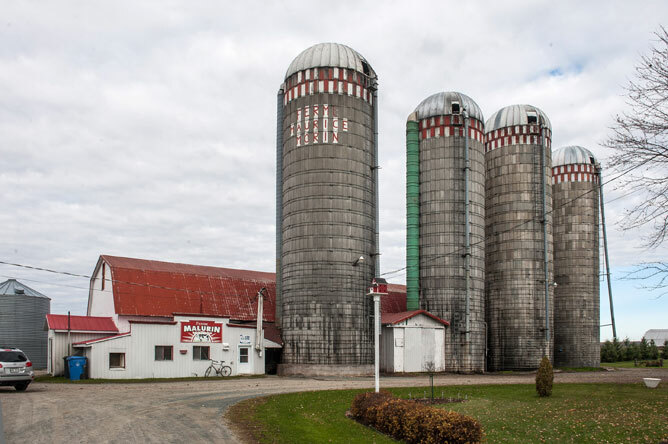 This dairy farm is owned by Lucie Chabot and Maurice Morin, who have raised cattle for the past 45 years. They have 130 head of cattle, including 60 lactating cows. 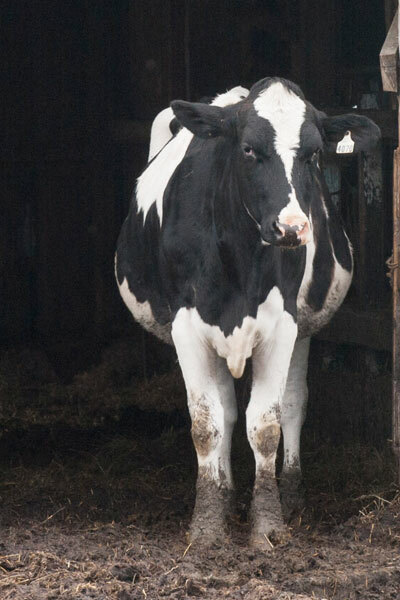 Most of the herd is made up of Holstein cows. 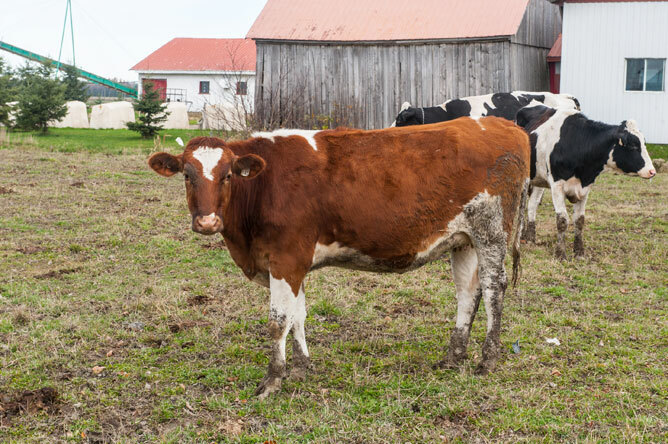 Because their children were not interested in taking over the farm, Lucie and Maurice decided to take on a younger, unrelated partner to ensure the continuity of their business. This type of association is growing in popularity. 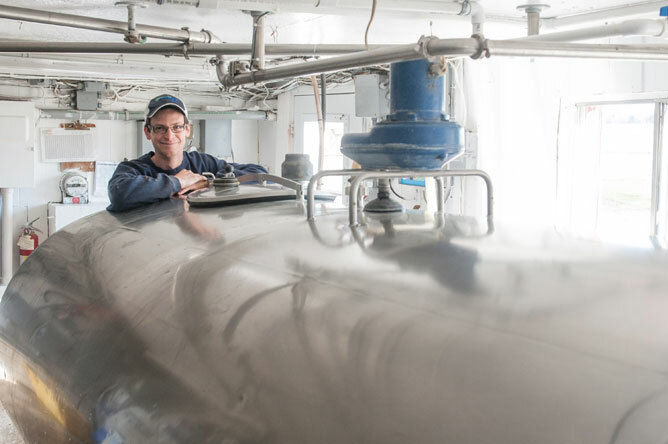 For their partner Alexis Jeanson-Lemire, age 24, this was an opportunity to realize his dreams. 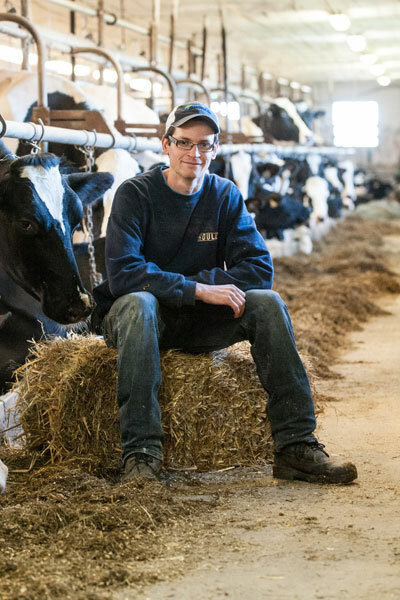 Alexis has been interested in agriculture and farm work since he was 10 years old. He studied agriculture at the École d'agriculture de Nicolet. He now works full-time on Malurin farm. 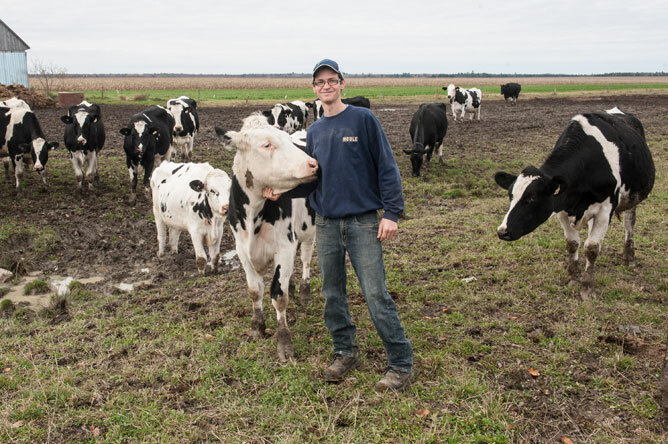 He milks the cows twice each day: once at 5:30 a.m. and once at 5 p.m. 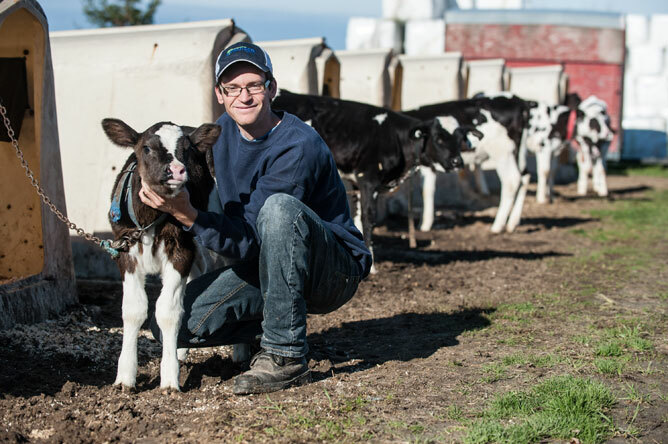 Being a partner motivates him to get even more involved in each step of dairy production. 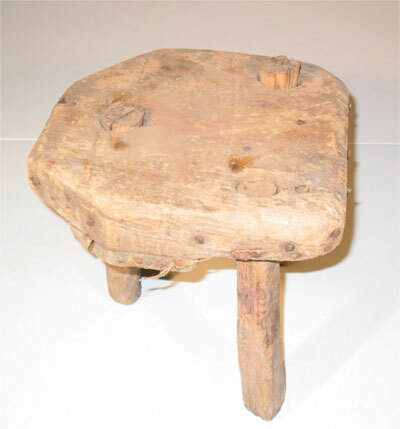 He is responsible for milking the cows and taking care of the livestock. Alexis is also interested in improving the genetics of the herd to increase milk production. 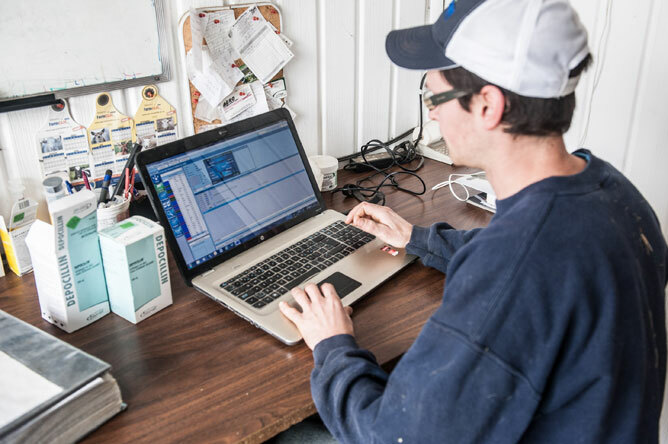 Each cow is closely monitored, and insemination dates are recorded to predict calving, which occurs after 9 months of pregnancy. 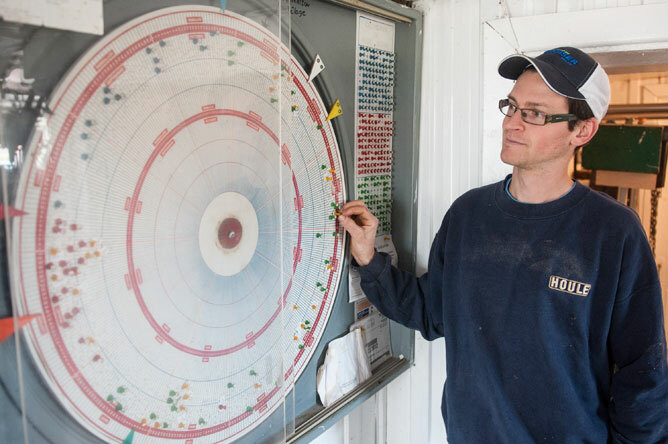 Breeding wheels and computer programs are used to monitor the cows. 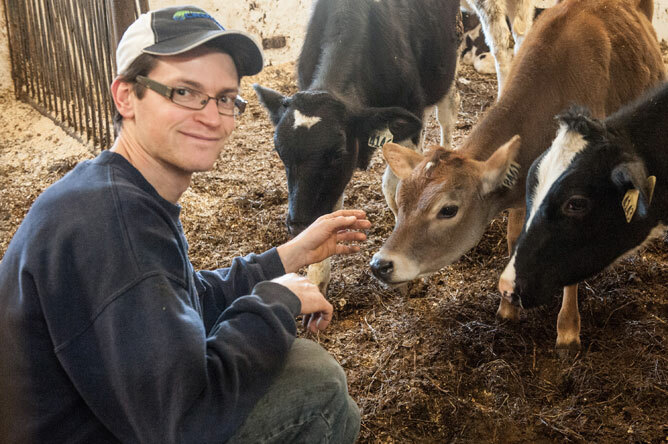 Alexis Jeanson-Lemire is very involved in the community of young farmers, and is President of the Association de la relève agricole de Nicolet, an association of young farmers in the region. He organizes monthly conferences, trips and visits to agribusinesses.